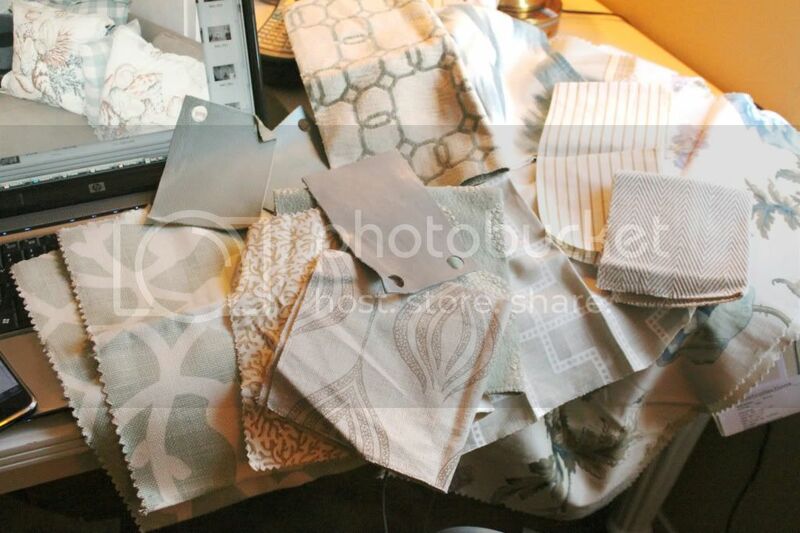 This is what my desk looks like when I'm in the middle of helping a client update her beach house. I think I'm a little pattern obsessed. Now I'm just trying to figure out if that's a good thing or not.